Ex-president Obasanjo has finally opened up on his endorsement of President Muhammmadu Buhari prior to the 2015 election which ousted ex-president Goodluck Jonathan from office. 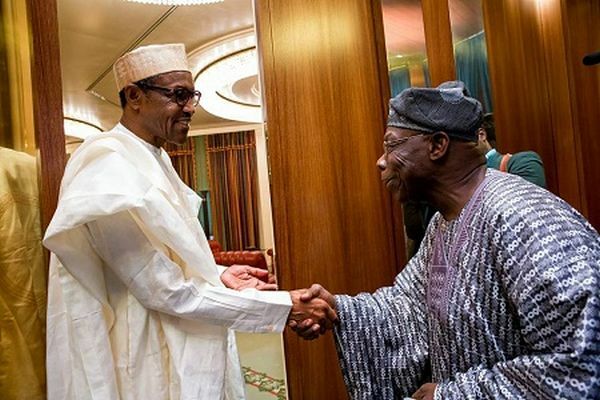 A former President, Chief Olusegun Obasanjo has said that he and four other eminent Nigerians brought President Muhammadu Buhari to power just to salvage the country from its current woes. According to Daily Post, Obasanjo said they took the decision when they felt that the country was on the edge of collapsing. Obasanjo said, “Three or four of us from different part of the country got together and said to ourselves what do we do? “We said what is the problem with us and why are we still not growing. We got talking and knew we needed to do something. The former President, who was quoted as making this statement on Thursday at a reception held in his honour at the Government House, Yola, Taraba State, said so far, Buhari had not disappointed the country. He, however, said Nigeria needed to get its acts right in the area of politics, governance and leadership for the country to develop.